SSI claimants can not get back pay for months of being disabled that were prior to the date of the initial application. When you are awarded Social Security Disability Insurance (SSDI) benefits, you may be able to receive “back pay” for the past months leading up to the day you were awarded disability benefits. There is a maximum number of 12 months prior to the date of your application for which you can collect back pay (assuming the date of onset of your disability occurred 12 months or more before you applied for disability), and there is a 5 month waiting period for SSDI that needs to be considered when determining back pay. The 5 month waiting period means that you can not collect SSDI benefits until you have been disabled for 5 complete months. For Supplemental Security Income (SSI), there is not a 5 month waiting period; however, your back pay is for all the past months starting when you first applied for SSI on your current claim. SSI claimants can not get back pay for months of being disabled that were prior to the date of the initial application. Example 1: Emmett became disabled on June 15, 2005. He filed for Supplemental Security Income (SSI) benefits in Chula Vista, CA on September 3rd, 2005. Emmett was finally awarded benefits on August 8th, 2006 (11 months after applying or SSI). Emmett will receive 11 months of back pay. The date that he became disabled does not factor into the calculation of back pay for SSI. Example 2: Fred became disabled on May 16, 2004. He filed for Social Security Disability Benefits in San Diego, CA on July 12, 2004. Fred was finally awarded his social security disability benefits on April 21, 2005 (11 months after becoming disabled). Fred’s back pay was for November 2003 – April 2005 (6 months). He was not awarded benefits for the first 5 complete months of being disabled (June – October, 2004). 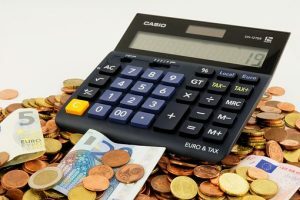 The date of Fred’s initial application is not really relevant for calculating back pay (unless the onset of his disability had occurred more than 12 months prior to his application date). Example 3: Sara became disabled on October 24, 2002. She filed for Social Security Disability Benefits in Los Angeles, CA on July 3, 2003. Sara was finally awarded disability benefits on January 2, 2005 (26 months after becoming disabled, 18 months after applying for SSDI). Sara’s back pay was for April 2003 – January 2005 (21 months). The first 5 complete months (waiting period) of Sara’s disability were November 2002 – March 2003. Example 4: Nathan became disabled on January 24, 2003. He filed for Social Security Disability Benefits in Riverside, CA on August 12, 2004. Nathan was awarded disability benefits March 1, 2005 (26 months after becoming disabled, 7 months after applying for SSDI). Nathan’s back pay was for August 2003 – March 2005 (19 months). The onset of Nathan’s disability occurred 19 months before he applied for SSDI, so Nathan was able to get back pay for the maximum 12 months prior to his application date in addition to getting back pay for all the 7 months he was in the application process. This means that in order for you to get the maximum amount of back pay (12 months prior to you SSDI application date), the onset of your disability must have occurred approximately 18 months prior to the day you apply for SSDI benefits. The DDS examiner or the administrative law judge will be looking for evidence in your medical records to support the date you claim that you became disabled. If the examiner or judge believes the disability started on a date other than the date you claim, then they will change the official date of your disability onset, which could affect the amount of back pay you will receive. 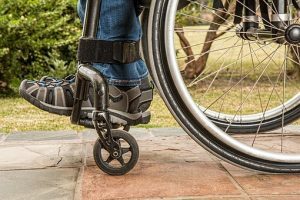 If you have been denied disability, or if you have questions, talk with an experienced disability attorney who can help you with your case. Click here to schedule a free consultation with an experienced disability attorney in the San Diego & Los Angeles area, serving all of Southern California.